Life With 4 Boys: Do You Know the ABCD's of #WaterSafety? Do You Know the ABCD's of #WaterSafety? Summer is officially here for the boys and many children across the country. What does that mean? Likely lots of dips in our own backyard pool as well as trips to local lakes, beaches and even water parks. Growing up in Florida where you can swim nearly year round, my boys all know how to swim fairly well. With my youngest turning 10, I thought my days of worrying about them being safe in the water were over. However, I have recently become aware of some hidden dangers that may be lurking in the water where we choose to swim. Since swimming season is finally here, I wanted to take the chance to share the ABCD's of water safety from The ZAC Foundation in the hopes that they might help prevent injuries and possible tragedies this Summer. What is The ZAC Foundation? 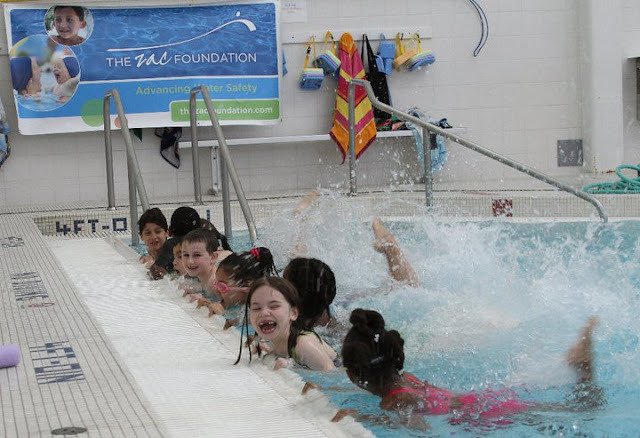 The ZAC Foundation is dedicated to help pioneer standards in the field of water safety, and to save children's lives through outreach, ZAC Camps and school curriculum. The foundation is named for Zachary Archer Cohn who died in 2007 at the age of 6, after getting his arm trapped in the suction of a pool drain. I know that I for one had never considered a pool drain dangerous. I had no idea that so many children's deaths and injuries were caused by them. Check out The ZAC Foundation drain entrapment video for more information. ADULT: Never let children be alone near or in a pool, ocean, lake, or river. Children should be taught to never swim without an adult present. BARRIER: Have a four-sided fence that goes around your pool with a self-locking gate. CLASSES: Kids and adults should take safety classes like swim lessons and CPR. DRAINS: ALL swimmers should stay away from all pool and spa drains to avoid becoming trapped by the suction. Entering is easy, simply enter using the form below. The giveaway is open to US residents 18+, and there can be only one winner per household. Winners will be notified by Clever Girls and/or The ZAC Foundation by June 20th. a Rafflecopter giveaway I was selected for this opportunity as a member of Clever Girls and the content and opinions expressed here are all my own.